With a choice of seven stunning and elegant designs, these André Belfort ‘Le Capitaine’ watches are guaranteed to add a touch of class to any outfit. 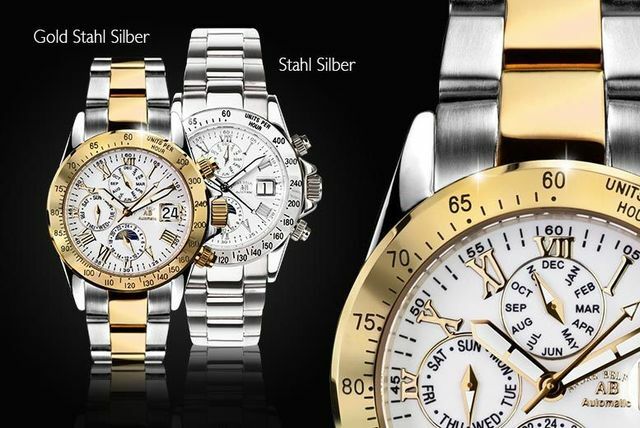 Not only does each timepiece feature scratch-resistant sapphire glass, but they’re also water-resistant to 5ATM. Get a stunning André Belfort watch. Choose from the sophisticated and timeless ‘Le Capitaine’ collection. Valid in seven designs (see below). Classic analogue dials and detailing with scratch-resistant sapphire glass.